Inequities in birth outcomes have persisted far too long in this country. While many cities have improved their overall birth outcomes, few have measurably reduced disparities, much less eliminated them. One reason for this is that science has not produced all the needed answers. Though many public health programs are in place, very few have risen to the level of evidence-based practices, and few of those have been proven to reduce inequities. 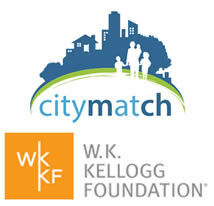 CityMatCH, with support from the W. K. Kellogg Foundation, developed the Institute for Equity in Birth Outcomes (also known as the Equity Institute) to instill a data-driven focus to the public health strategies needed to eliminate birth outcome inequities. The Equity Institute kicked off in April 2013 with 4 teams and added 3 additional teams in January 2014. Interest in this Institute grew, spurring the development of 2 additional projects: the Ohio Equity Institute—a partnership between CityMatCH and the Ohio Department of Health working in 9 Ohio communities to address Ohio’s high infant mortality rate, and the Detroit Equity Institute—a W. K. Kellogg Foundation-funded project addressing Detroit’s high infant mortality rate. The e-learning experience provided here offers an opportunity for health departments and communities to replicate some of the work completed by participating Equity Institute Teams. 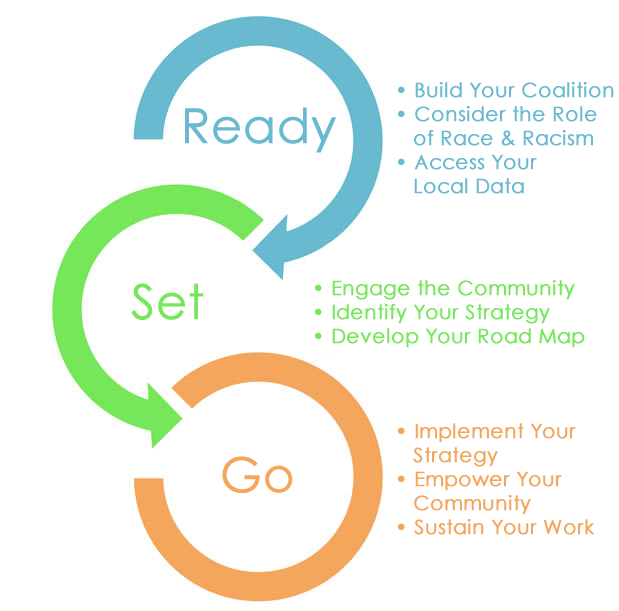 Based on the “Ready, Set, Go” framework developed by CityMatCH, these modules walk users through the understanding, development, and evaluation of an equity-based initiative. The modules provide tools and knowledge from experts in the fields of public health, health equity, epidemiology, evaluation, community engagement, and much more! The information provided in these modules is meant to be a starting point and can be adapted to the needs of individual communities. Instructions for navigating through the site are included at the top of each page.